Virgin Media has told the leading online speed checkers that it will be publishing its own monthly data to show the discrepancies in their results – but also that it is happy to work with them to ensure that accuracy is improved. Presumably worried about the potential fall-out from people testing the speed of its new 50Mb service – which is already being trialled in the UK – Virgin Media is keen to ensure that high-end packages are tested fairly. Currently, ultra-fast broadband (over 20Mb) apparently does not get the accuracy in online tests that lower end packages get. Jon James, Director of Group Strategy at Virgin Media said: "Customers increasingly rely on speedtest comparisons to choose their broadband provider so we are working with speedtest sites to help them accurately measure all broadband services, including our new superfast offerings. "We will also be helping customers to understand the accuracy of the speedtest information available to them - so they can make well-informed choices." We spoke to online speed checker Broadbandchoices.co.uk earlier in the week ahead of Virgin Media's announcement and Michael Philips conceded that they are already working on a more accurate way of testing the high-end packages. "If you look at results then you will see that most of the online checkers are broadly in line, so accusing one of being inaccurate means that all of us are," Phillips told TechRadar. "Saying that, it's our duty to continually check the algorithms that we use and we, for one, are currently undertaking a project as we speak to make sure our results for the high-speed broadband packages are accurate. "In the meantime we will not be publishing our monthly results until we get to the bottom of it. We expect everything to be resolved inside the next two weeks." The grumble from the online speed checking sites seems to be that they think ISPs conduct their research in ideal conditions, but the disparity between other high-end providers' results is a cause for concern. For the public, it is clear that accurate results are of paramount importance in seeing if they are really getting value for money from their ISP. Virgin's data will apparently be anonymised so that the public cannot see which checkers are most out of line on its test - but appears to be hoping to illustrate that there are problems, and offering to help make them better. Which can't be a bad thing. Broadband Choices' MIchael Philips has now responded to the news, adding: "Speed testing is usually an accurate and useful tool for consumers to check that they are getting what they are paying for. "However, the new super fast 50Mb product Virgin Media is launching is ahead of current testing technology. Consumers come to us for reliable information and we share Virgin Media's desire to improve the accuracy of the 50Mb speed testing. 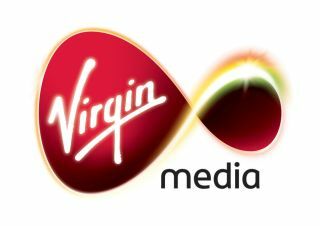 "We will work with Virgin Media to explore ways that we can develop our testing methodology for high speed services as they near the launch of their upcoming 50Mb product."